Please note that this roadmap and changelog is not a comprehensive list of all bugs and features to be addressed or implemented in the future. Priorities may change dependant on the needs of the website and user base. Exact release dates can't be given, but feel free to ask on the Anilist discord server. Use the Subscribe button at the bottom of this post for notifications on new site updates. Removed blank airing status graphs that ended up on manga. Revert airing marker from dot back to underline. You can restrict it by using any of the selections and filters available. Fixed auto-refresh issues when session has expired. Its been way too long since we added some more donator perks so here we go! All donator badges are now also displayed on activity and forum comments. 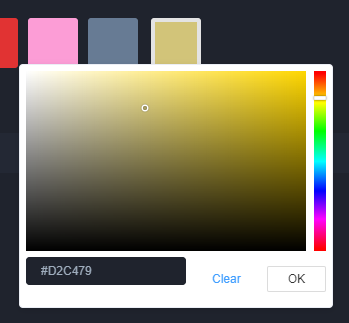 $3+ tier can now additionally select custom profile colors from the full RGB hexadecimal range. New $20+ tier will add the rainbow effect to your badge on activity and forum posts. Changed home activity feed selector to a toggle between Following & Global, with an additional filter dropdown. 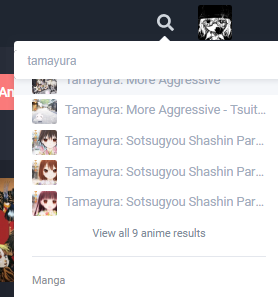 You can now expand the list previews on the home page to take up the entire width of page, this will also up the entries shown from 20 to 40 per anime & manga sections. Animated gif avatars are now supported for $5+ Donators! Site guidelines have been updated. This is mostly for clarification as most changes did fall under the generic spam 'catch-all' that currently exists. Do not excessively spam likes. The 'like spam' rule may be temporary until notification settings are rewritten. Reversal will be confirmed at that time. 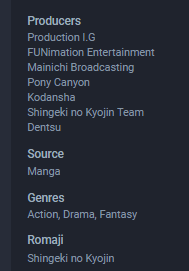 From now on, any new tags being added to the site will be mentioned in the changelog, until an alternative solution is implemented. Apologies for lack of larger updates at the moment - main objective still getting the revamped submission system up and running as soon as possible. Announcing the new data mods will come after that.